Since my laptop became more or less impossible to use with the WD15 dock and multiple external monitors, I had to continue looking for a solution. First I spent the better part of Saturday to try to create a Windows To Go installation on a USB stick in order to run the WD15 firmware upgrade (that only works on Windows). After several failed attempts I looked elsewhere for a solution. Turns out that for any 16.04 LTS installation, kernel upgrades are held back, so while a fresh install of 16.04.2 from CD would give you a Linux 4.8 kernel, systems like mine that had 16.04 from start, would still have a 4.4 kernel, the reason is that pretty much the only reason for upgrading the kernel these days is to get better hardware support System that works fine with 4.4 will not get any benefits from an upgrade. But my system wasn’t working fine and the releases between 4.4 and 4.8, there has been a lot of Dell specific improvements and a bunch of usb-c improvements that could potentially make things better. First, make sure you have all relevant upgrades so that your current system is in fact a 16.04.2. 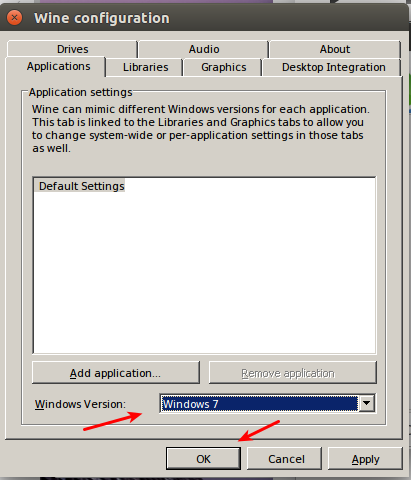 If your system still is 16.04.1, run the software updater manually and install everything it suggests. If your kernel version is lower than 4.8 and you are experiencing hardware related issues (like my problems with the WD15), you may very well benefit from a kernel upgrade. The easiest way to do that is to enable something called the hardware enablement stack that instructs your system to install the latest kernels and X version. 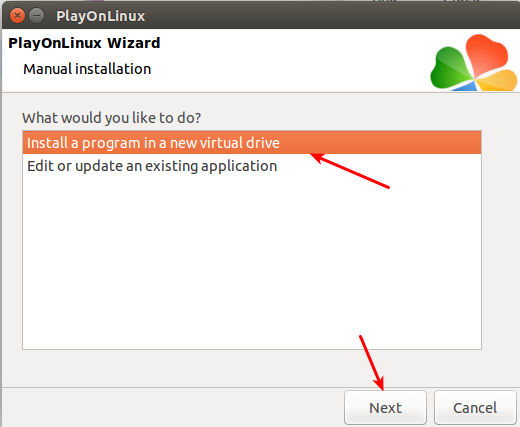 A warning might be in place, once enabled your system is basically going to get new kernels every time Ubuntu has a new point-release. So whenever 16.04.3 is released your kernel is most likely going to be upgraded again. Getting a new kernel every now and then might be too risky for some systems. Your mileage may vary. My reasoning is that since the XPS 13 9630 is still very new hardware (in Linux terms), new kernels will gradually make it better and better so I accept the small risk that some kernel along the line could potentially mess things up. A few minutes and a reboot later, my laptop was working better with the WD15 than it did before the devestating 4.4.0.75 upgrade that started this whole mess. The downside right now seem to be that I get no sound at all from the WD15 now. Neither the audio jack at the front or back seem to be working. Hopefully something that can be resolved but compared to no support for external monitors, a minor issue. Power cycling the laptop AND the WD15 fixed the audio issue. After getting automatically upgraded to the latest Kernel (4.4.0.75) this week I had a proper sh*t storm of issues with my external monitors for two days. Sometimes they wouldn’t switch on after a cold boot. 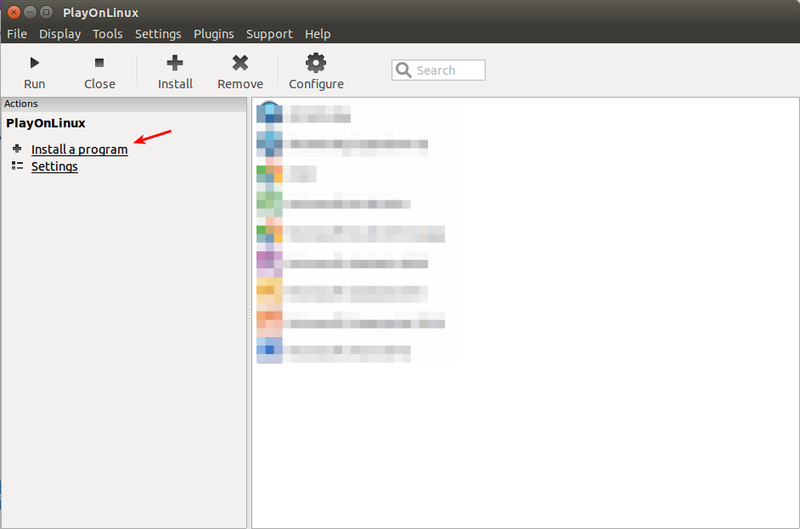 Sometimes I see the Ubuntu login screen on the external monitors for a second or two before they switch off. Sometimes the external keyboard and mouse wouldn’t work after boot. Even the screensaver would start messing with the external monitors and keyboard, everything was basically random but with a strong bias towards not working at all. I gradually tracked it down to being an issue with the WD15 dock and its usb-c connection. Some searching around led me to this thread on the Dell Community forums that made me realize I’m running an outdated BIOS, I had version 1.0.7 but the current version is 1.2.3 . I downloaded and updated the the new bios and after 1-2 hours of running, a lot of dock/usb-c related issues seems to be fixed. I recommend every user to use an updated BIOS, but if you’re using an usb-c dock with your Dell XPS, I’d say this BIOS update is mandatory. New update: I spoke too soon, most of the issues remain the same. This week my new daily driver arrived. A brand new Kaby Lake Dell XPS 13 Developers Edition (late 2016) that comes with Ubuntu pre-installed. It’s the first time in good number of years that I’m working with latest gen hardware and it’s also the first time I try a laptop with manufacturer support for Ubuntu. Interesting indeed. 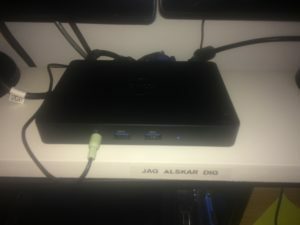 I also purchased a Dell WD15 dock to hook it up to my 2 22″ screens in the home office. Apart from a few “paper cuts”, I just love this laptop. It’s the first time ever that I own a laptop with more than 6 hours of (realistic) battery life out of the box. The screen is gorgeous and the backlit keyboard feels really comfortable. If you’re looking for a high end laptop to run Linux, I highly recommend this one. But as I said above, there are a few annoying things that needs to be improved. This blog post is my way of documenting the changes I’ve made so far and it’s very likely that I keep expanding this post as I discover and hopefully fix issues. This laptop comes with a really nice trackpad. But when the computer first boots, it will have two separate trackpad drivers active. 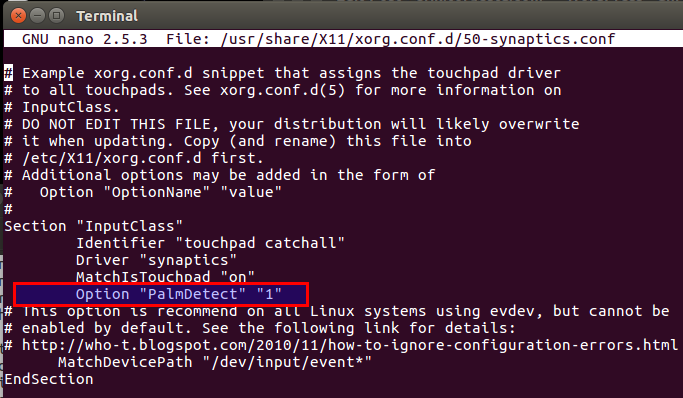 This makes synclient (the software that controls trackpad configuration) all confused and attach to the wrong driver. The trackpad will mostly work, but it’s not going to be possible to disable the trackpad while typing. This in turn means that if you enable “tap to click” on the trackpad, you will accidentally move the cursor around by “tapping” the trackpad with the palm of your hand driving you insane very quickly. touchpad-indicator is a utiility that sits in the upper right hand indicator area in Unity. 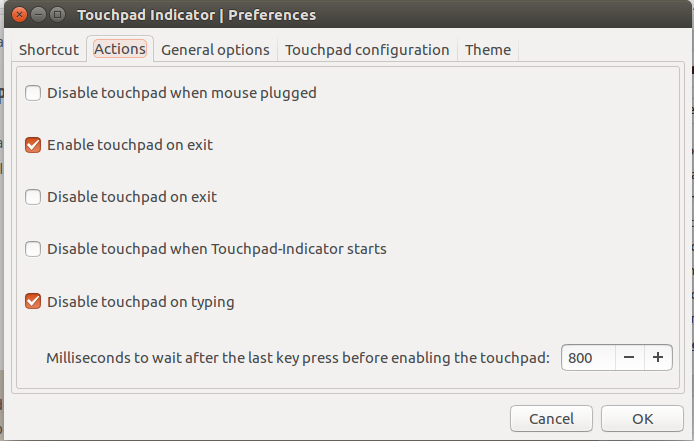 This util gives you some additional configuration settings for the touchpad, “disable touchpad on typing” being the important one for me. After installing it, I had to start it manually once, and then tell it to autostart on it’s General Options tab. There’s a lot to say about the Dell WD15 dock. For the most part, it works as expected but there are some annoying buts that goes with it. From researching online I realized that with the Linux kernel that comes with stock Ubuntu 16.04 a lot just works and for that I’m thankful. The poor customers that tried to make this dock work with previous versions of Ubuntu have suffered much more than I have. There are a few things that doesn’t work though. The other annoying thing with the dock is that I have a ton of trouble making it understand when to enable the external monitors, when to wake up from suspend and what resolution to use. I’ve had similar issues with other docks (HP) in the past. I don’t have a solution for it, I guess I just slowly adjust to a lot of rebooting and manual screen resolution management. One of the most odd things with this laptop is that the pre-installed Ubuntu 16.04 comes with a Dell specific package named dell-super-key. This package seem to do just one single thing: disable the super key. 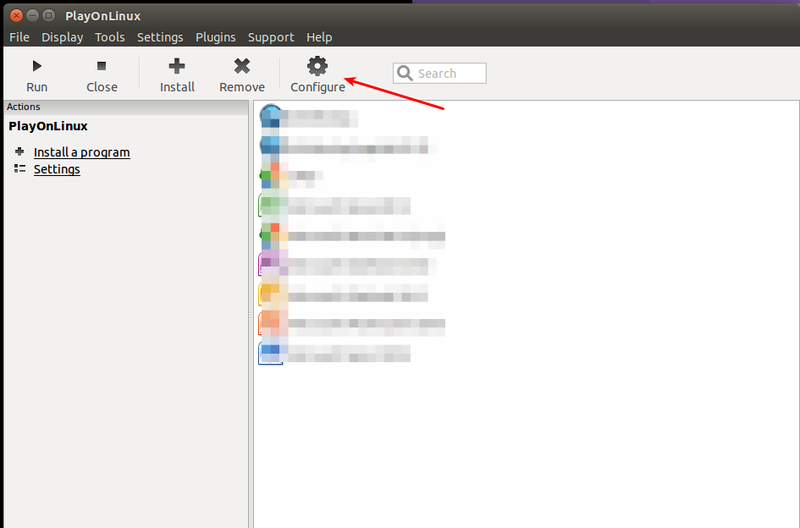 If you’re the least bit familiar with Ubuntu, you know that the super key used a lot so exactly what the product developers at Dell was thinking is a mystery to me. Why? Anyway, it’s easy to fix. Just uninstall the dell-super-key package and you’re good to go. I’m not sure if this is specific to the Dell installation of Ubuntu or not but I haven’t had this issue on any other laptops, including my last HP that was also running 16.04. I work a lot with different works paces and I use Ctrl+Alt+Up/Down to move between them. 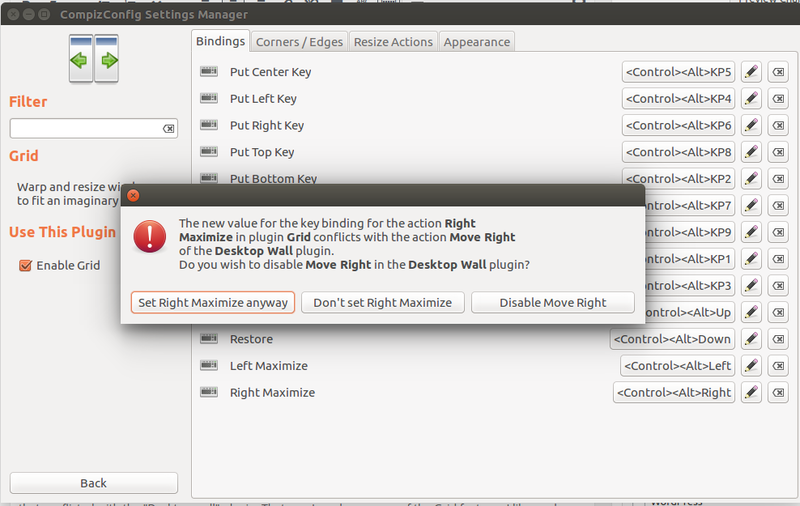 On this one, there was a conflict in mapping so that the Ctrl+Alt+Up combo was also mapped to “Maximize horizontally”. Whenever I had focus on a window that could be maximized, Ctrl+Alt+Up would maximize that window instead of taking me to the work space I wanted. Searching around in the standard places for where to fix this turned up nothing. I disabled the maximize action in every place I could think of; System Settings -> Keyboard -> Shortcuts as well as using the dconf-editor. 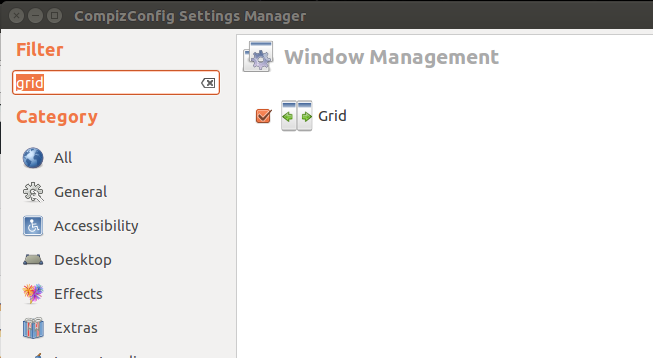 Turned out to be the Compiz plugin “Grid” that caused the problem. I solved it by simply disabling these keyboard mappings from Grid. Compared to 10 yeas ago when I first started using Linux as my primary OS, the tweaks needed to make this laptop work as I want it are minimal. 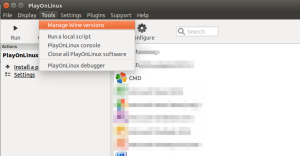 Linux and Ubuntu have come a long long way since then and it’s world of difference. It would be easy to point a a finger at Dell for shipping a laptop with these issues, but I think that would be very unfair, instead I applaud them for sticking to their Developer Edition program. Sure, the super key thing is weird and perhaps they could have solved the touchpad thing better, but those are solvable. I prefer Dell to keep assembling great hardware, after all, there’s a great community of Linux users around to get the last few issues resolved. If you have any questions or if you’ve found another Ubuntu and Dell XPS related issue, please use the comment field below. 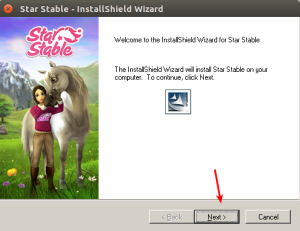 TLDR; Star Stable works fine under Wine 1.7.55. 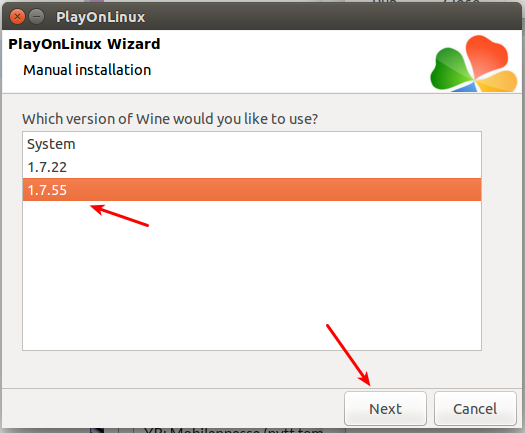 Use Play On Linux if you want to avoid too much Wine configuration details. 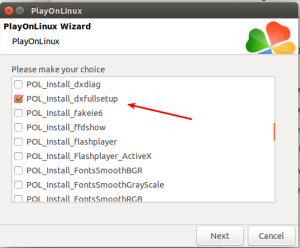 If you follow the guide below and get weird error messages in the Play-on-Linux debug log, try the two commands above and give it another try. And now for something completely different. A few weeks ago I was helping my daughter (12 years old) with some problems on her Windows 8 laptop. Over the 18 months she had it, she had been installing all kinds of crap software. Clicking whatever links and buttons she thought would get her games working the fastest possible way, hardly realizing that she gradually filled her Windows installation with numerous of Trojans, viruses and other malware. We were at a point where I realized that getting her computer clean again would consume more time than to do a complete Windows reinstall, only to risk that we’d be back in the same situation a few months later. 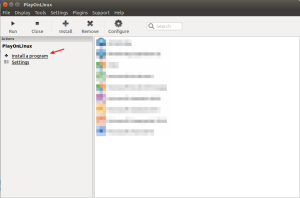 So instead we went for Ubuntu Linux. Her first reaction after getting familiar with the new desktop environment (Gnome 3), she reported back that Minecraft had never run as smoothly on her laptop before. And the overall impression was that the entire laptop was a lot quicker than it was running Windows 8. 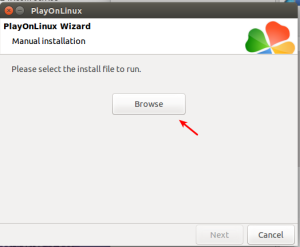 Everytime she asked for help installing something, I was a little scared that we’d find out that the particular game she was interested in would not run under Linux, but so far we’ve been lucky. Minecraft just works as is and Garrys Mod and Terraria was easy enough to set up in the Steam environment. But today, she really wanted to get Star stable working and that turned out to be a little bit more challenging even though the final solution was pretty straight forward. 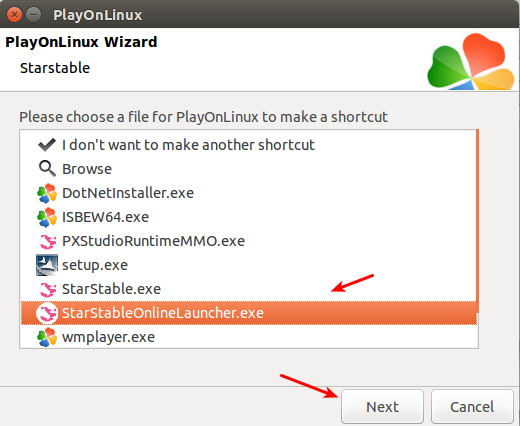 Star stables own web page claims that the game only runs under Windows and Mac. 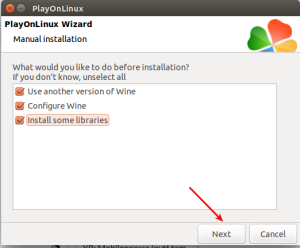 But I hoped that it could potentially work using Wine. Lately, I’ve found that the Play on Linux project is an excellent way to manage Wine. It’s a nice graphical tool that allows you to manage several Wine environments in parallel. 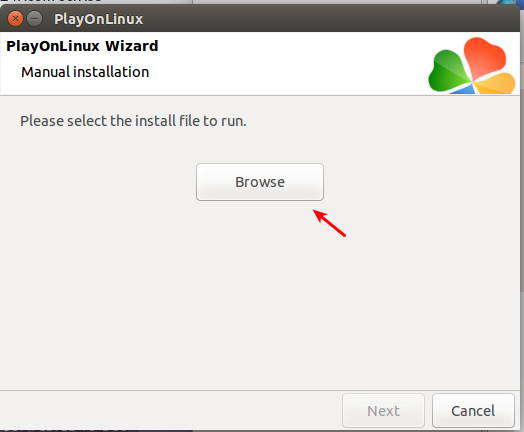 Go to the Play On Linux home page and download the version for your Linux distribution. 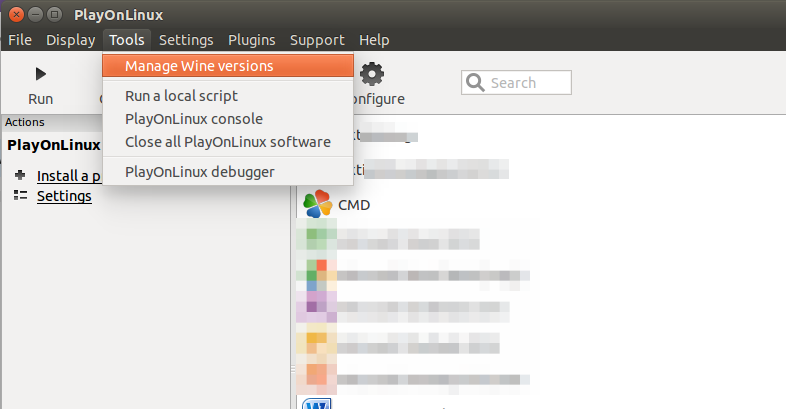 As we were running Ubuntu 15.10, we selected the appropriate Ubuntu deb package. After clicking the right arrow button, a Wizard will start that guides you through the install process. 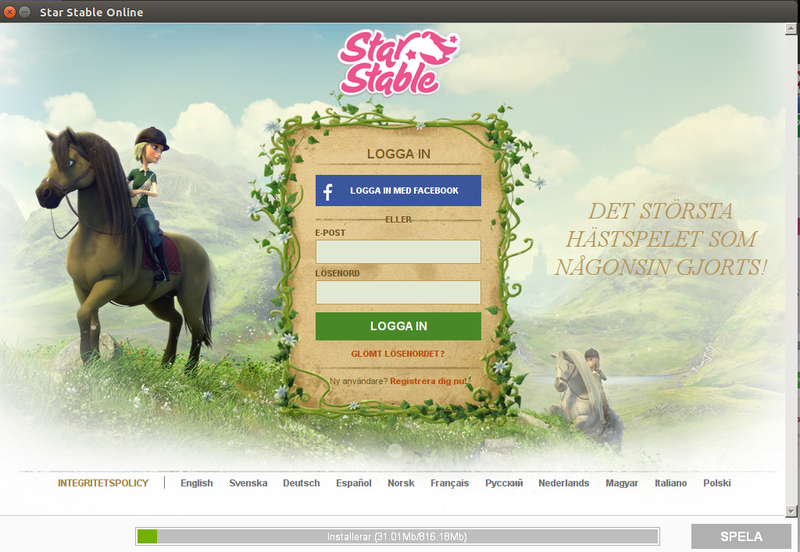 Open a browser and got to the Star stable register page to initiate a download of the Star Stable executable. This step requires having or creating a Star Stable account. I’ll leave out the details and just assume you have an account. Ignore the request to lauch external application. 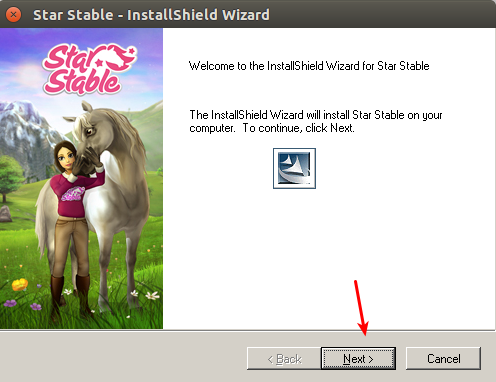 ..then, you should be taken to a page that offers manual download of the Installation program StarStableSetup_v921.exe. This part will take some time depending on your Internet connection speed. But rest assure, If you’ve gotten this far you’ll most likely have a working installation. Once the progress bar reaches 100% the first time, there will be a couple of updates to download as well, so grab a coffee (or Wine) and relax a few moments before the game launches. 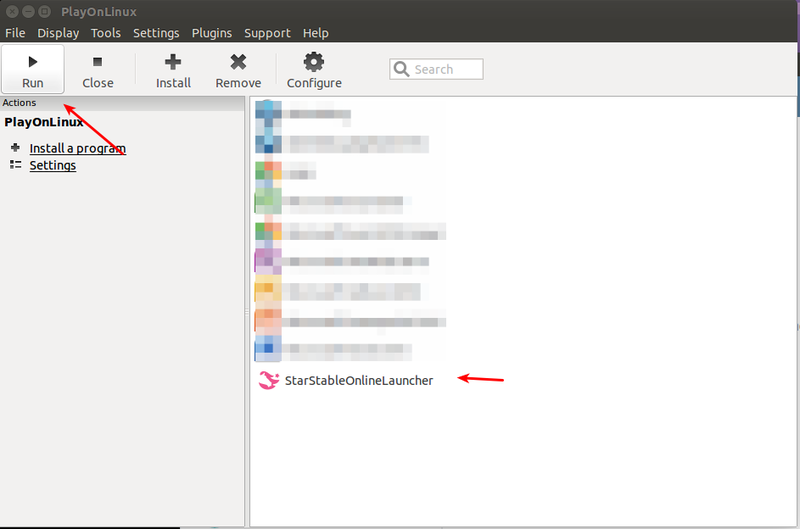 Then find the executable (pink icon) named StarStableOnlineLauncher.exe and click Next and on the next screen, just accept the default name given for the launcher. And that’s it folks! 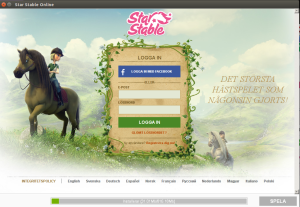 Go enjoy Star Stable on you Linux machine. Comments? Questions? Other feedback? Don’t hesitate to leave a comment below. I’ve just started using CoSchedule, an editorial calendar tool that helps you plan your content creation ahead of time. It’s an external service that connects with your WordPress blog using a special plugin. If you’re serious about creating content, you want to post new stuff on a regular basis a couple of times a week. That’s when an editorial calendar will come in very handy. Starting at $15/month CoSchedule will give you a scheduling tool as well as some extra super powers that makes your life as a publisher a lot easier. 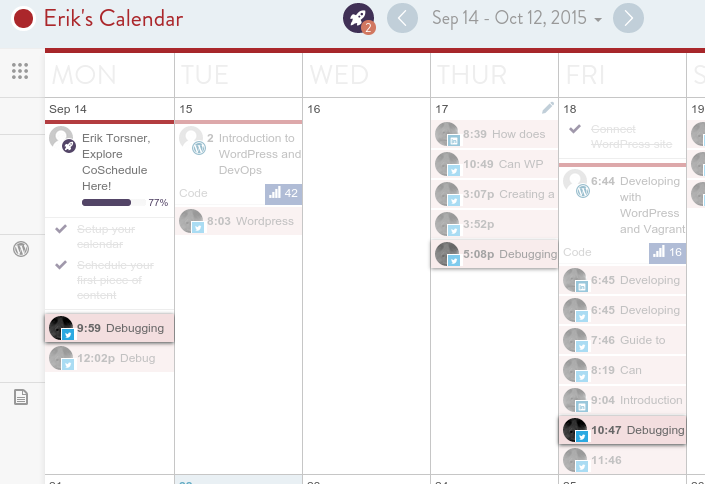 But in all honesty, keeping a calendar is simple, you could do that in Trello or Google Calendar just as easy. It’s all the other things that CoSchedule brings that really makes it worth the monthly fee. First of all, you have the calendar view where you get an overview of all your planned posts. Rescheduling is a matter of dragging an item to a different day, just as easy as you’d image from looking at the screen shot above. Notice the social media icons that appear in the schedule above? They are items in the social queue which is one of the first super powers that CoSchedule brings. So what is that? 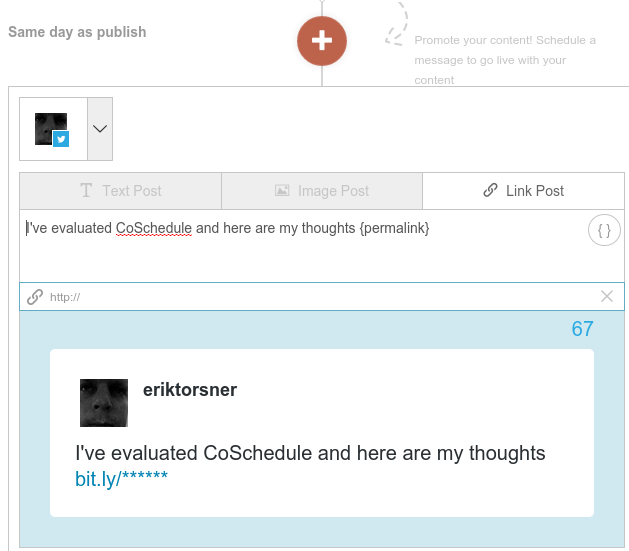 For each post you create, CoSchedule will help you promote it on different social networks. 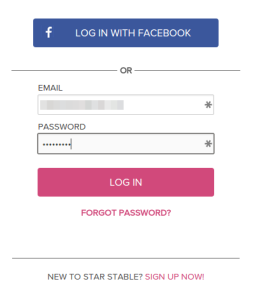 As part of the onboarding process you are asked to connect CoSchedule to an many Social Networks as you need or want. They currently support Twitter, Facebook, LinkedIn, Tumblr and Google+. (you can go back to the settings page and add or update social profiles later). 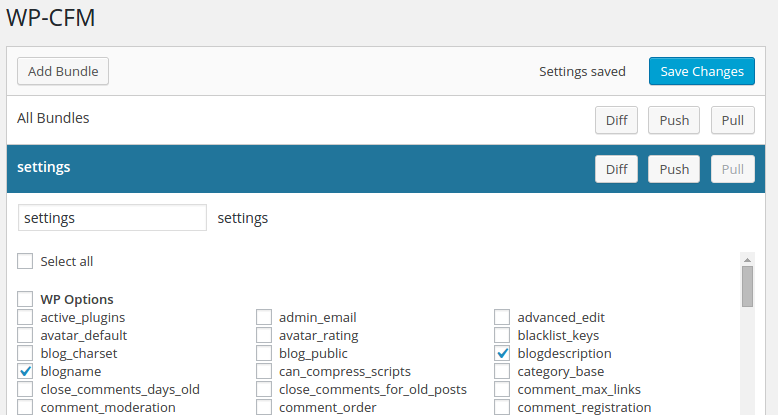 Right in the post editor in WordPress, you’ll get a tool that allows you to create posts that will be sent out to your social media networks. In the screen shot below, I’m creating a Twitter message that will go out the same day as this very post is published. You can place as many messages in the social queue as you want to and you can decide what day (same day, day after, week after etc) as well as the time of day that the social messages are sent out. CoSchedule features a statistics page that shows you how many links/shares your WordPress posts gets on the various social networks. As you can see below, my stuff is mostly shared on Twitter, but that’s just me, your stuff might me more shared elsewhere (yes, I’ve obfuscated the actual numbers in the screenshot below, the real report shows the exact numbers). So this is the second super power delivered by CoSchedule, a way to quickly see what’s working in terms of sharing and linking in the social media world. Just as the social queue described above, this feature alone is worth paying for. It helps you understand what works and what doesn’t. CoSchedule is not just for you. 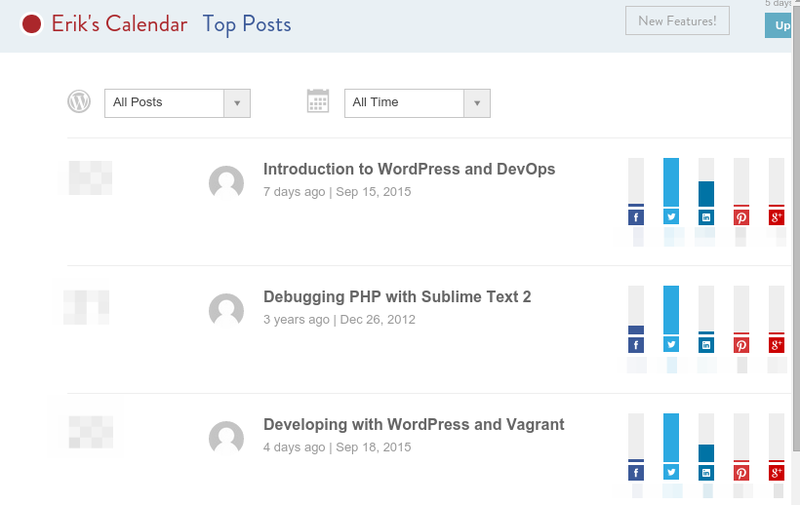 If you are more than one working on your WordPress blog, you can share CoSchedule withing the team and assign tasks to one another. I haven’t explored this feature at all since I’m the only one publishing on this blog. CoSchedule has a video demonstrating these features, so go check it out. Google Calendar The Google Calendar integration makes whatever you put in your editorial calendar visible in your standard Google Calendar view. That means that whenever I have a look in my calendar to schedule meetings etc. I also see what I have committed to on my blog. If you have a post planned for Tuesday morning, don’t fill Monday back to back with other engagements. Bit.ly I was already a bit.ly user before so this is great for me. Bit.ly is a link shortener service that also delivers great statistics on who clicks on your links. So every link used by CoSchedule is also visible in my Bit.ly account complete with all the analytics I’m used to. Google Analytics If you are on one of the more expensive plans you can have CoSchedule create special analytics dashboards in your Google Analytics account for even more advanced insights into who visits your posts, where they came from etc. all integrated with your CoSchedule efforts. Evernote I haven’t tested the Evernote integration simply because I’m not an Evernote user. But this will allow you to connect Evernote notebooks and share them with your team for even simpler content creation. I bet this is a big deal for Evernote users, but I can’t really comment on how useful this is. That’s actually two nice things. First, the on-boarding really is great! Second, they have a support team that are paying attention. I haven’t had a reason to contact them with a real support question yet so I wouldn’t now, but I get the feeling that they are actively listening. So what’s the downsides? Well first of all this doesn’t come for free even if that’s what we’ve gotten spoiled with when it comes to WordPress plugins. CoSchedule is a paid service but they let you evaluate it for 2 weeks before deciding on buying. The plans start at $15 per month for a single user and $30 per month for teams. Personally, I thought $15 was in the higher range of what I’d be willing to pay as a single user, but after using it only a short while, I don’t want my WordPress installation to lose the “Calendar” menu item. I haven’t monetized my publishing a lot yet, but even so, I’m confident that this product can help me earn more than $15 extra per month. The one thing think they’ve could have done better is scheduling the social queue. As far as I understand right now, I have to schedule each individual social message by hand. I would have loved a feature that allowed me to take a social message I’m happy with and say “repeat this every 4th day until…. X”. On the other hand, that kind of feature would be misused by spammers so we should all be glad that it doesn’t exist. The other thing I’d like to see is the effectiveness of each social message. If I send out tweets promoting my latest post, I will vary the wording in the message slightly in each of them. Afterwords, it would be really nice to see which ones that are driving the most traffic back to the post. Perhaps this is possible using the various Google Analytics dashboards they have and I just haven’t understood how. It’s a complex tool. If you’re serious about creating content on your blog on a regular basis and if you want to get some super powers in terms of scheduling, promotion and analytics, CoSchedule is most likely the tool you’re looking for. If my review doesn’t give you enough, go give them a try. First 14 days are free. The only thing you’re risking is falling in love and start a subscription simply because you can’t imagine going back to not using CoSchedule. Lets recap a bit to last post in this series. Vagrant is a piece of software that will help you automate the creation of Virtual Machines right on your development computer. The benefits of running your WordPress project inside a Vagrant machine are that (1) you can use the same software stack of operating system, web server and database as you will use in production and (2) you can make changes to the development environment without affecting the rest of your computer or any other projects. Lastly (3) it’s super easy to make sure that all developers working on the same project actually has the exact same environment. In this post we will get a bit practical and demonstrate how Vagrant works. We will set up a WordPress installation inside a Vagrant machine and then surf to it from your development computer and we will automate as much of the WordPress installation as possible. In fact, it’s so automated out of the box that you will only need to type five (5) commands to get your WordPress install up and running. We’ll also touch briefly on the tools Grunt and wp-cli, but more in depth articles on those tools will follow soon. 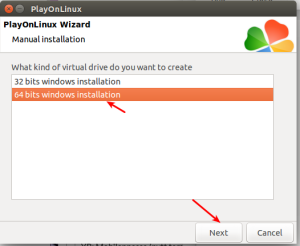 Before we can do anything else, we need to get Vagrant and a Virtual Machine manager installed on our development computer. 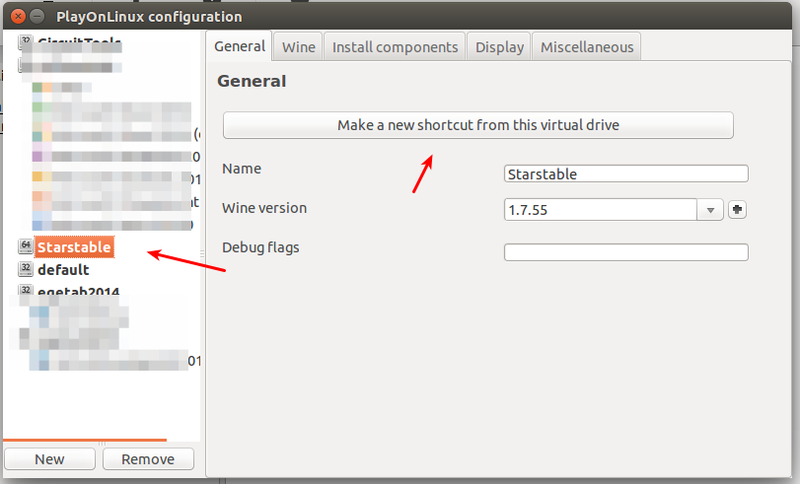 This step depends on the OS on your machine and as the Vagrant documentation says, it’s extremely easy. Head over to their downloads page and install it using standard procedures on your OS. 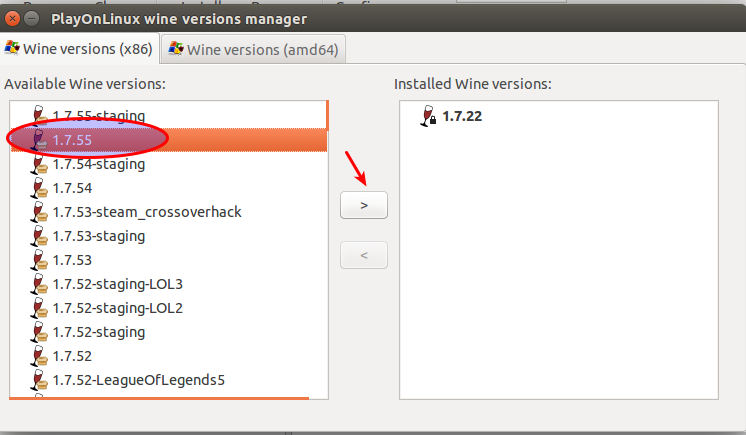 The same goes for the Virtual Machine Manager. 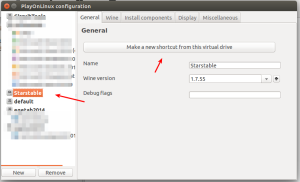 Vagrant supports VirtualBox and VM-Ware as well as a few other possible backends. 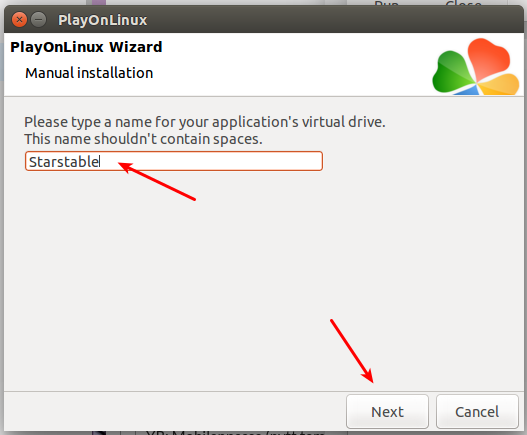 I’m a long big fan of VirtualBox so that’s what I recommend. Head on over to the VirtualBox downloads page and get the version that’s right for your computer. Install it using standard procedures on your OS. Clone or copy my Get repository for this blog post, https://github.com/eriktorsner/wordpressvagrant, into a folder on your computer. From now on, we’lll refer to that folder as the project folder. I suggest your start your own remote Git repository (on github or elsewhere) so that you get your project under source code control right from the start. It’s good development practice. 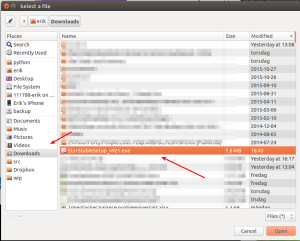 Vagrantfile This file is the main Vagrant configuration file. It defines the virtual machine that we’ll soon fire up. If instructs Vagrant to create a machine with a specific hostname, a specific amount or RAM and disk, what IP-number to use and a few other things. At the top of this file, there are 4 lines of code that needs to be changed to suit your environment, but other than that, you should be able to use this file as is. One of the most important parameters that is defined in this file is “config.vm.box” that tells Vagrant what base image to start with. 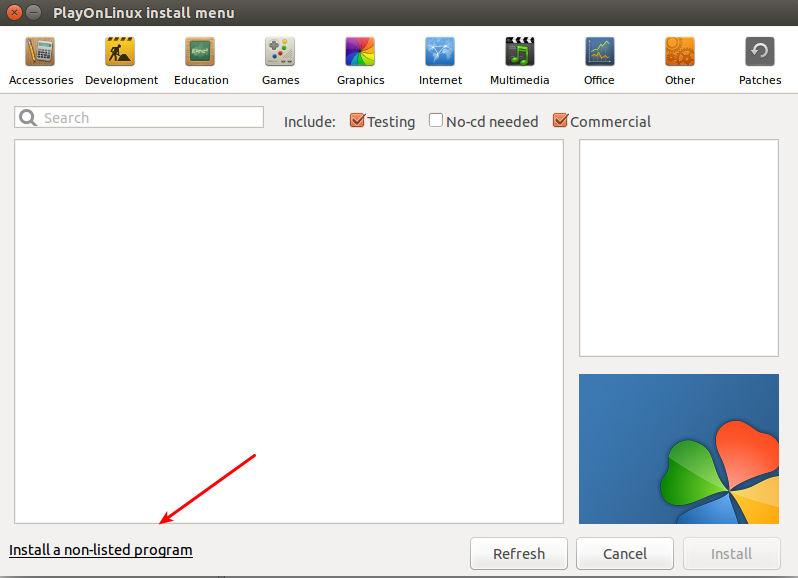 We’re using “ubunty/trusty64” which gives us a bare bones Ubuntu 64 bit operating system to start with. 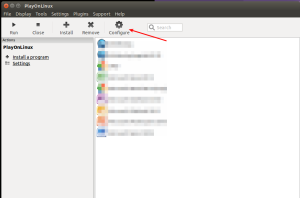 Subfolder vagrant. 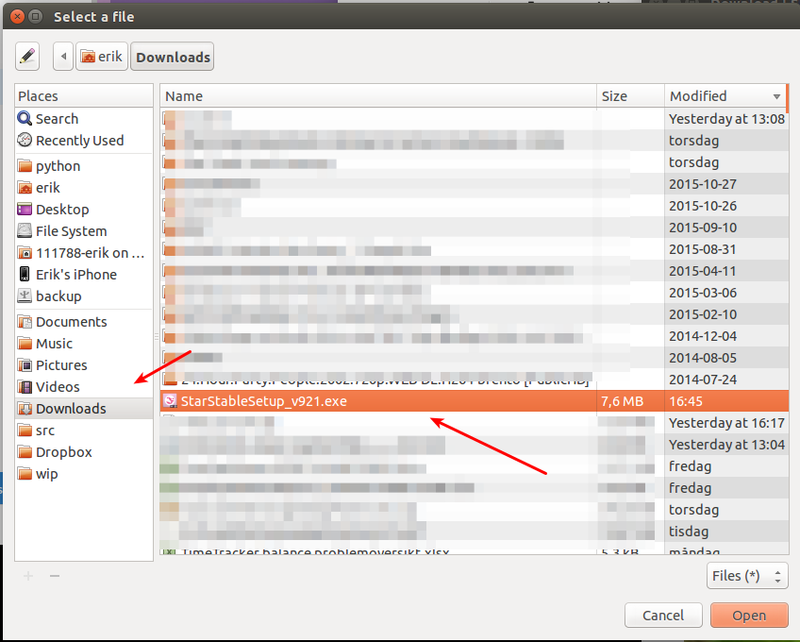 This subfolder contains some additional settings for Vagrant that is uses during the provisioning phase. We’ll talk more about provisioning further down, but basically it’s a script that is executed the first time we start the virtual machine and that installs “everything else” which in our case means the nginx webserver, MySQL database server, PHP and a bunch of other useful tools. package.json is the settings file for the Node Package Manager (NPM). We use NPM to install Grunt and some of it’s dependencies. Gruntfile.js is the settings file for the Grunt automation tool. We’ll talk more about Grunt in a later episode, right now it’s enough to know that Grunt can be used to automate things and that we’ll use it to automate WordPress installations. localsettings.json.template In our approach to WordPress we want to automate as much as possible and to do that, we need a place to store things that are unique to this particular environment. Since this file should never be added to Git, I’ve included a template, not the actual file. Any setting that will differ from this development environment we’re currently creating and the live production environment should be captures in this file. In this template file, we have things like URL, path to WordPress, WordPress passwords etc. The parameters in the template happen to nicely align to most default values defined in Vagrantfile and provisioning. Before we can start the Vagrant machine for the first time. Open Vagrant file and make sure lines 3-6 have sensible values. Hostname, devdns and testdns should have values that makes sense for your project name and ipnumber should be a unique ip number that is not already used by another virtual machine on your computer. Now is a good time to grab a cup of coffee. 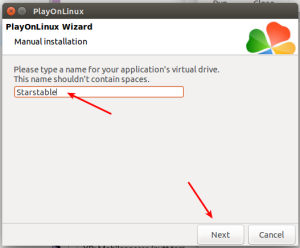 Vagrant will download and install a lot of things. On my computer this process normally takes 5-8 minutes, but it will vary depending on network speed and your computers performance. drwxrwxr-x 1 vagrant 4096 Sep 18 10:07 .
drwxr-xr-x 24 root 4096 Sep 18 10:05 ..
We are only a few commands away from installing WordPress. First we’ll copy / renamelocalsettings.json.template so that we have a correctly named localsettings file. As I wrote above, no actual changes are needed inside this file as long. Next, we’ll use npm to get all the dependencies for Grunt. And that’s it. WordPress should be ready to use. Test it by using a web browser on your desktop and type in the address to your development machine. The default is: http://www.wpvagrant.local (but you’ve might have changed it in the Vagrantfile). Varying Vagrant Vagrants (https://github.com/Varying-Vagrant-Vagrants/VVV) is the first I encountered that is focused on WordPress. My configuration is based on this. VCCW (http://vccw.cc/) is another good option. 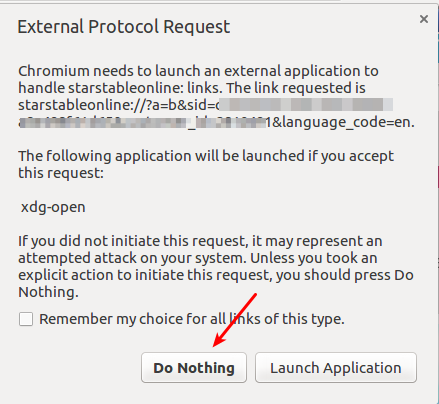 One of the benefits is that it uses Chef for provisioning rather than a shell script as mine and VVV does. In the next post in this series, we’ll dive deeper into automating the WordPress installation even further. We’ll look at how to get plugins, themes and settings in place using code rather than manual configuration in the WordPress admin area. Until then, over to You, let me know what you think in the comments.